As a new investor, or an experienced investor looking to invest with a new binary options platform, it is extremely important that you confirm the brokerage platform has the necessary licensing. On our list of broker reviews, you can find under which jurisdiction each binary broker falls. Most of binary options firms are regulated by the Cyprus Securities and Exchange Commission (CySEC). 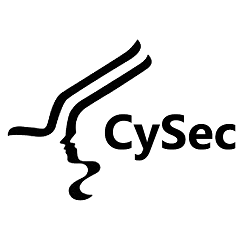 According to CySEC’s website, the commission’s mission is to “exercise effective supervision to ensure investor protection and the healthy development of the securities market.” What this means essentially, is that CySEC keeps an eye on the various binary brokers so they don’t defraud or scam investors. Further evidence of the stringent rules CySEC places on financial institutions is that it is a part of the European Markets in Financial Instruments Directive (MiFID) legislation, which give firms registered in Cyprus access to European markets. At the same it requires that firms regulated under CySEC, meet the financial regulation criteria set out by its neighbors to the north i.e. continental Europe and the UK. If you are new investor, a great way to familiarize yourself with the world of financial securities is by reviewing the “A Consumer’s Guide to MiFID” located on the CySEC website. This English guide breaks down the guiding principles of MiFID legislations as well advises investors how to utilize the legislation to protect their interests. They fullfill all the legar requirments demanded by Cysec. Cysec monitors carefully all the financias services to ensure compilance With European Union. To act honestly, fairly and professionally, in accordance with your best interests. This principle protects you when you are dealing with a firm that, as a professional, is in a stronger position than you. To provide you with appropriate and comprehensive information which is fair, clear, and not misleading. This will help you to understand products and services so that you can make informed decisions and ensures that you do not receive biased or confusing information. If your binary options broker largely adheres to the above, you probably made the right decision. This is the link for further information on complaints http://www.cysec.gov.cy/en-GB/complaints/how-to-complain/ but this broker is not regulated by CySEC.